Ready those rackets and tighten the laces for the annual return of the BNP Paribas Open tennis tournament, held at the Indian Wells Tennis Garden (IWTG). 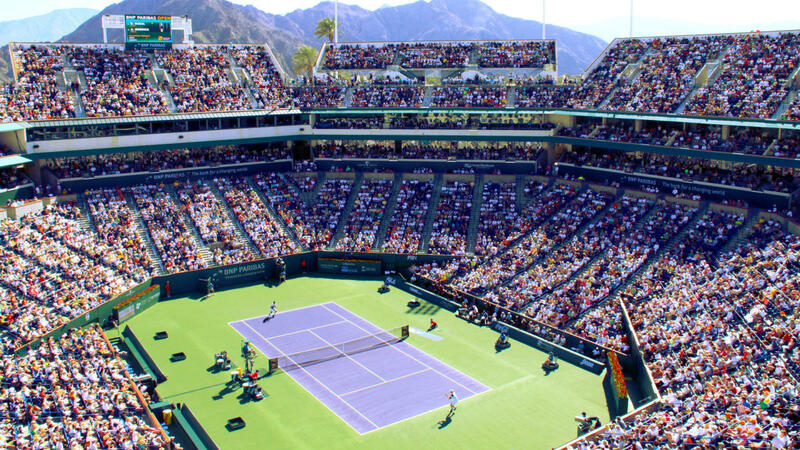 Set for March 5-18, 2018, the Greater Palm Springs event, referred to as "The Fifth Grand Slam," is the largest and most well-attended tennis tournament in the world, outside of the game&apos;s four major championships. For regular attendees and first-time visitors alike, here&apos;s what you need to know heading into this year&apos;s tournament. The IWTG is perpetually evolving, which means this is a premier sporting venue that just keeps getting better every year. A season after enhancing the fan experience with major renovations to both its main Stadium 1 and Stadium Plaza, the IWTG enjoyed a "Full Bloom" site beautification (as if it could get more beautiful) in readying for the 2018 event. The garden party vibe is highlighted by the addition of 62 new palm trees across the property, including a circle of palm in the retail area, a new row of trees in the food village and a grove between IWTG&apos;s two main structures. In addition, an augmented spread of color will enhance the scene with more flowers, pavers and greenery, along with the addition two new fountains all added to the site. And to ramp-up the viewing, spectators will enjoy the upgraded video walls added to the north and south ends of Stadium 1. Along with its smart spread of casual sporting fare matched with high-end dining options like Nobu and Spago (for Stadium 1 ticketholders), BNP added local flavor this season with the addition of longtime valley favorite, Wally&apos;s Desert Turtle, in Stadium 2. And for those seeking an enhanced, tourney-related dining opportunity, check out the Citi Taste of Tennis event on Monday, March 5. Held at the Hyatt Regency Indian Wells Resort & Spa (just two miles away from the IWTG), the gathering features appearance by some of the tourney&apos;s top talent, coupled with signature dishes from a select list of top chefs in Greater Palm Springs. Fans at this year&apos;s BNP Paribas Open can expect the event&apos;s always-stellar player field to match the lauded grounds. On the women&apos;s side of the draw, two-time BNP champ (1999, 2001) and new mom Serena Williams makes her return to WTA Tour action following the birth of her daughter in September of 2017. With older sister Venus Williams also in the field, Serena will vie to become the event&apos;s first-ever three-time women&apos;s winner, while serving to better her semifinal finishes at the tournament in both 2015 and 2016. Among eight former singles champions fleshing out the BNP field, the women&apos;s draw also includes Simona Halep, defending champ Elena Vesnina and new world No. 1 Caroline Wozniacki, fresh off her Australian Open win. In men&apos;s singles, 2017 BNP champion and world No. 2 Roger Federer returns in defense of his record-tying fifth BNP crown. After not dropping a set in his 2017 triumph, Federer will have his hands full in a run at a repeat. Fellow five-time champion Novak Djokovic returns to the court after an injury-riddled &apos;17, and the world&apos;s top-ranked player, three-time BNP victor Rafael Nadal, also aims to stand atop the BNP podium. First-time BNP visitors unsure about getting to IWTG need know that the event&apos;s ease-of-access is all part of the event&apos;s allure. For a full set of Daily, Mini/Group Deals, Luxury Stadium Suites and area Hotel Packages, here&apos;s your baseline for all things BNP ticketing. To access the Garden by way of hotel shuttle, or to review General, VIP, Valet, ADA and Bike Parking options, just take a quick look here to study your options. Has the event tempted your own desire to rally? 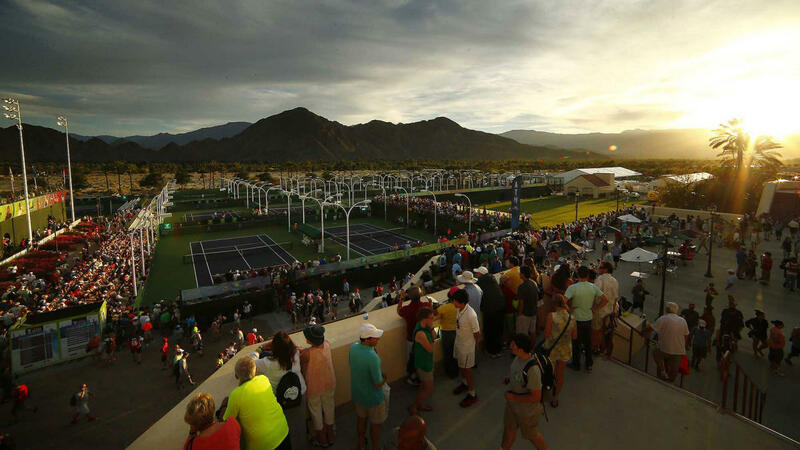 A host of public access venues across Greater Palm Springs offer tennis options. In Palm Springs, Ruth Hardy Park has eight public courts open for play (night-lit until 10 p.m.) while four more open access city courts can be found at Demuth Park (also open for evening play). Mid-valley, there’s court access at the City of Palm Desert&apos;s Civic Center Park, which provides six tennis courts open to all. On the east end of the desert, guests staying at the historic La Quinta Resort & Club have access to the property&apos;s array of hard and clay courts and can enjoy daily clinics during the BNP. Advance resort lodging reservations are strongly recommended during the tournament, and interested parties will also want to inquire about the resort&apos;s "Tennis Experience Package." Images courtesy of BNP Paribas Open.